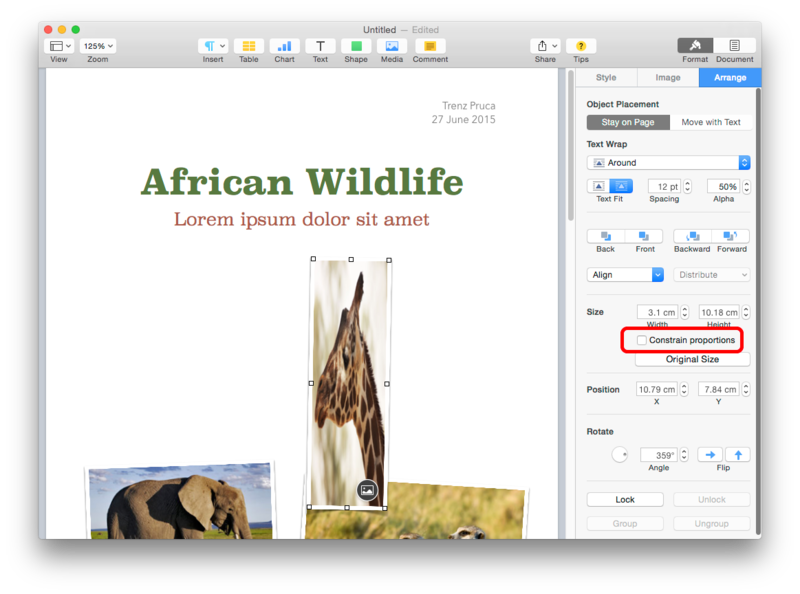 If I resize the width of an image in Keynote or Pages the height resizes as well. The same thing happens vice versa. How can I resize the width without affecting the height and vice versa? Select the picture, then in the Arrange tab uncheck Constrain Proportions [you may have to revert to original size before that will un-grey. Then dragging the image by any edge will stretch. Not the answer you're looking for? Browse other questions tagged yosemite pages keynote image-editing . How do I avoid Keynote reducing image quality? Keynote version 8.3 how to alter image opacity.. only shows gallery/arrange and not style tab?